While many of us file our tax returns and forget about them, there are thousands of people who are concerned about receiving notices from the Internal Revenue Service (IRS) informing them they are being audited. Let’s face it, anyone who files a tax return is subject to an audit at any time, but, the good news is you can minimize your risk of an audit by avoiding some of the red flags the IRS will watch for. Watch your math – math errors are one of the most common mistakes made on a tax return. This is particularly true if you are making corrections to a return before it is filed. Sloppy math errors can be a red flag when your return is being reviewed. This is often one of the primary reasons a small business owner will hire a tax preparation firm to handle their taxes. Keep deductions reasonable – when you are taking business losses, deducting charitable donations or deducting expenses, make sure you have documentation for each item you are deducting. More importantly, make sure the numbers make sense. Think about it, if you have a net profit of $23,000 and you have made $10,000 in charitable donations, this will likely flag your return for additional scrutiny. Know what may trigger an audit – there are some common items that may be automatically questioned by the IRS. For example, a new home-office deduction, high medical deductions and business entertainment expenses can all trigger an audit. Correcting errors through amended returns – if you miss a deduction, fail to report a business loss or make another mistake, you might consider filing an amended return. Keep in mind, this means the IRS has another opportunity to flag your return for an audit. Hiring a tax preparation professional to ensure all deductions and credits get picked up the first time may help protect you from an audit. Consider avoiding paper returns – thousands of taxpayers file electronically annually. If you are one of the remaining taxpayers who files a paper return you should be aware your return is more likely to be flagged for audit. Your tax preparation professional can generally help you avoid this common flag. Filing late versus early – if you are going to owe taxes, instead of filing your return in April when thousands of other returns are filed, consider filing an extension with a small “good faith” payment. Naturally if you are getting a refund you may want to file early. However, if you are concerned about an audit, generally returns that are filed early in the year are audited while those filed later in the year are less likely to be flagged for audit. The chances of being audited are generally fairly low unless you meet certain criteria or unless there are clearly inflated or erroneous numbers on your return. On average, only about one percent of all returns are flagged for audit. 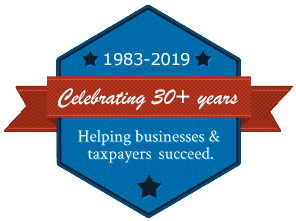 If your return is complicated or you are concerned about getting flagged for audit, consider working with the tax professionals at Rue & Associates.